I have about 8 Rotary cutters in my collection. 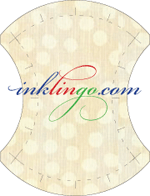 From cutting circles, wave/pinking patterns, to using different sizes for different types of projects, etc. Through the 45mm family of cutters, I explain how each cutter is used and discuss the ease of replacing/changing the blades. Pardon the background ‘noise’ as my boy was playing with his lego bricks nearby. If the player is acting up, you can click here to view the video too. In the video, I mentioned that the 45mm cutters can use either the straight and decorative blades interchangeably. But upon scrutiny of the packaging of the cutters, there are some cutters that will take either type of blade, or both. If you have any questions about usage/price/availability with regards to the above, please let me know!